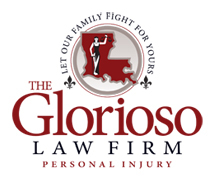 INJURY DUE TO A SLIP AND FALL OR TRIP AND FALL IN NEW ORLEANS OR METAIRIE, LOUISIANA? CASE: The Glorioso Law Firm was asked to meet with the husband of a women aboard the fatal crash of a U.S. Air flight near Pittsburg, PA. Many aviation attorneys had written solicitation letters and sent brochures and videos hyping their talent, experience and results. After several hours of discussion and hearing the widower describe the scene of the crash including body parts still in the trees and on the ground, we asked if he would walk us through the scene. He did and later that day he chose us as his attorney. The case settled before trial. Copyright 2018 The Glorioso Law Firm | All Rights Reserved.